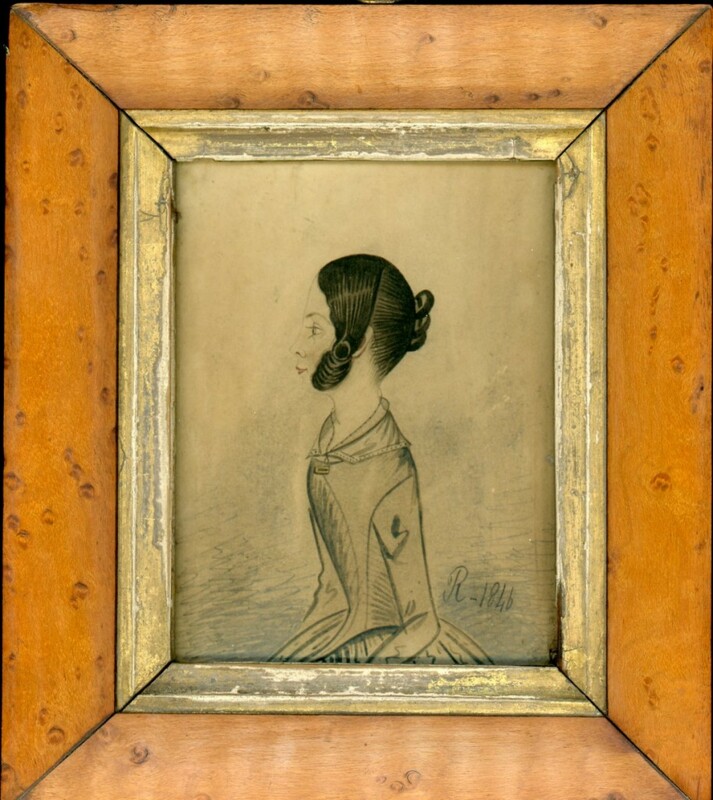 A charming small watercolour profile of a young lady wearing a dress with a pointed waistline, long narrow sleeves and a dainty lace-edged fill-in collar decorated with a little brooch. Her brown hair is swept back into a pretty knot with stylised curls framing her face. The profile is painted on card and is signed with the initial R and dated 1846. It has been laid down on the wooden backing board. The colours have faded – there’s a tantalising glimpse under the slip of how blue the dress once was — but the monochrome look is nonetheless charming. Frame: Housed in the original flat profile frame with a rather tarnished gilt slip.